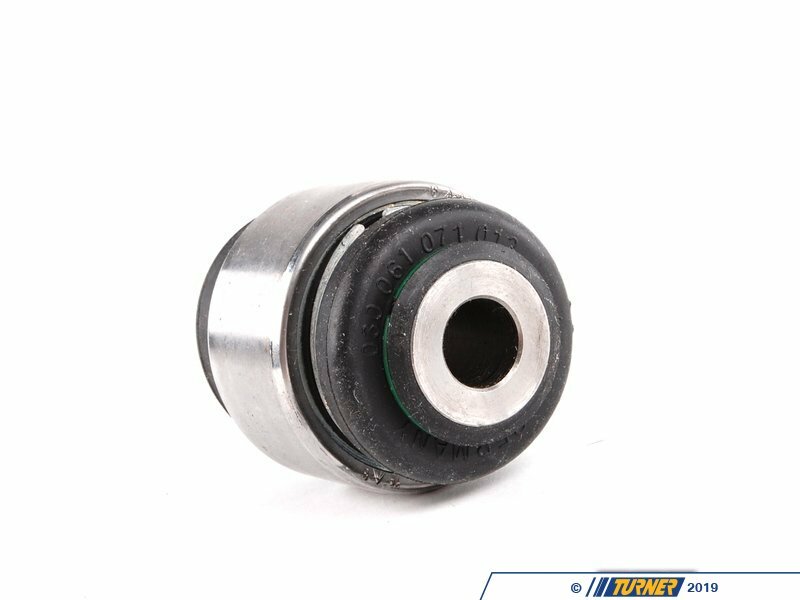 This ball joint is used for the upper rear trailing arm bushing on ALL E36, E46, E83 X3, and E85 Z4 cars. BMW also used it as the lower bushing on most M cars. 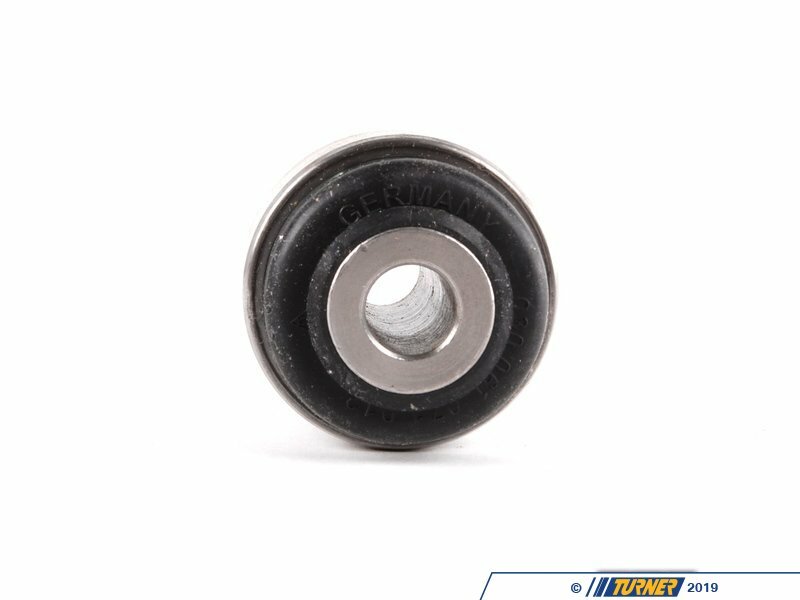 It makes a great upgrade on all non-M cars where BMW used a rubber bushing at the lower position. 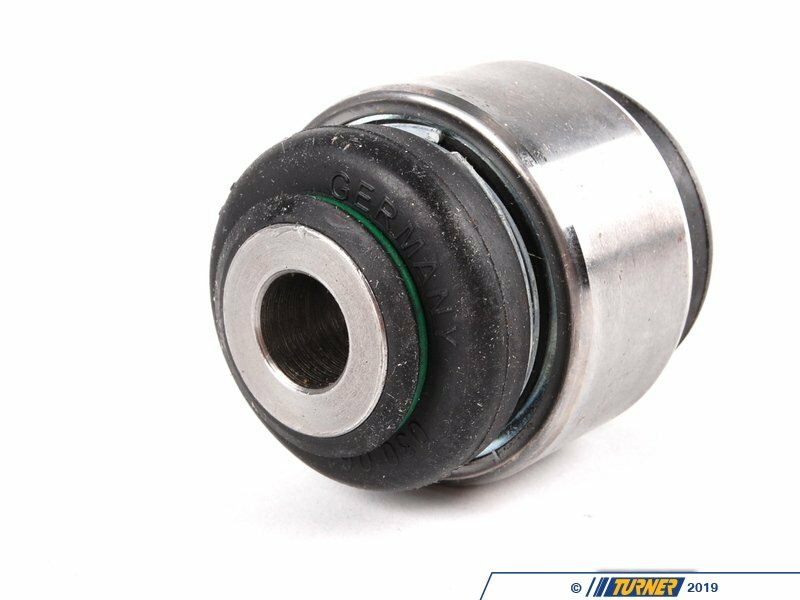 This sealed ball joint is one of the best things about the rear suspension - it functions extremely well and lasts a long time. And it can be used as a replacement for the existing bushing without any further modification. The non-M cars used a solid rubber bushing for the lower arm (camber arm, wishbone) which does not last very long and relies on bushing deflection (twist) during suspension motions. 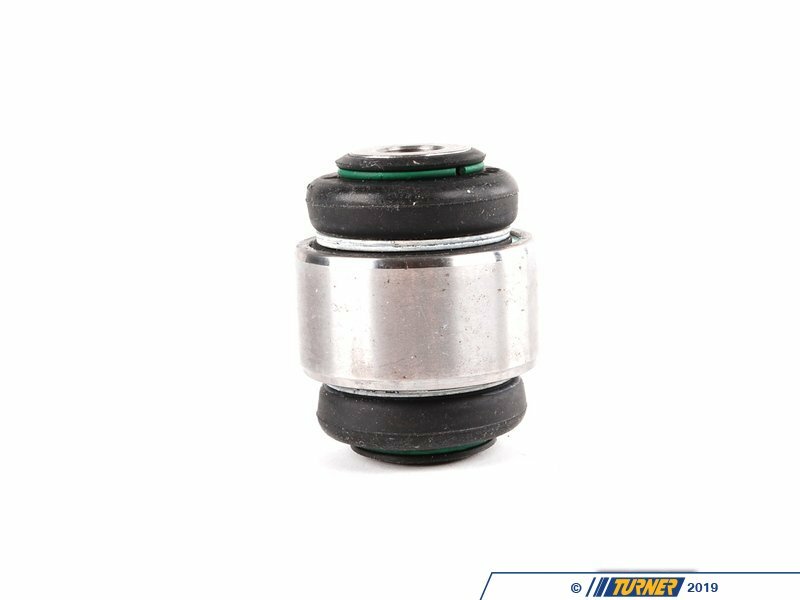 The ball joint inside the upgraded design is much more effective during this suspension movements as it does not bind or deflect. And because it's sealed with rubber it will last a long time and remain quiet and maintenance free. 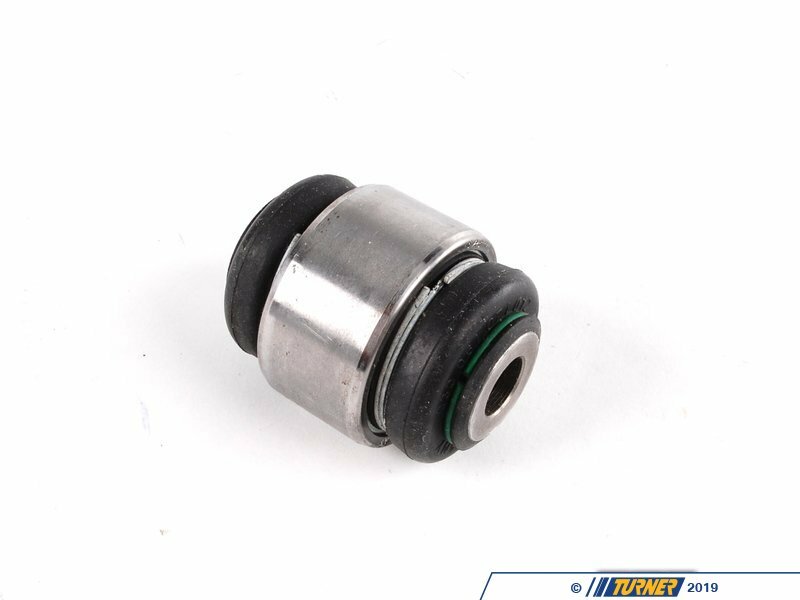 Most customers report that after installing or "upgrading" to these bushings the rear end of their car felt much more stable. Price is per bushing. Left/Right and Upper/Lower are the same part.